According to a study released by Upwork in late 2017, freelancers are predicted to become the majority of the US workforce within a decade – with 50% of millennials doing freelance work already. Freelancing is a great way to use existing skill sets and experience or learn and build up new skills to make extra money as a side hustle or a full-time income. With the rise of AI, Automation and the demand for tech and web development workers, more and more freelance jobs are flooding the job boards every minute of every day. While Freelancing is a more unpredictable way to earn an income than a traditional job, it is seen as more attractive and viable to more and more people due to the flexibility of who you work for, how many clients you have at any time vs a single employer, and the benefit of being able to work from anywhere you have wifi and a laptop. 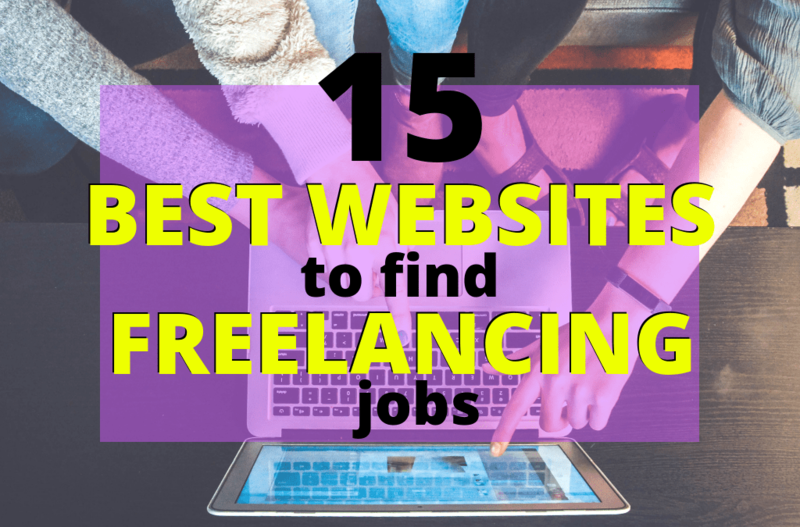 There are many websites and job board online that boast the best freelancing jobs and opportunities – and some are definitely better than others, if you know where to look. 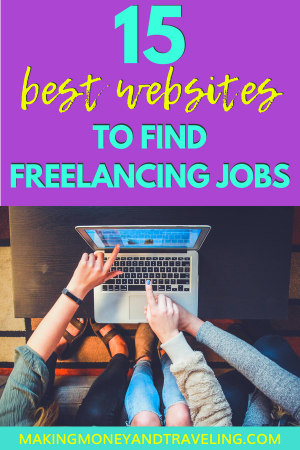 It can be difficult to spot the duds and separate them from legitimate jobs, but this is a list of reputable freelancing websites and many offer additional skills training and resources for their members. 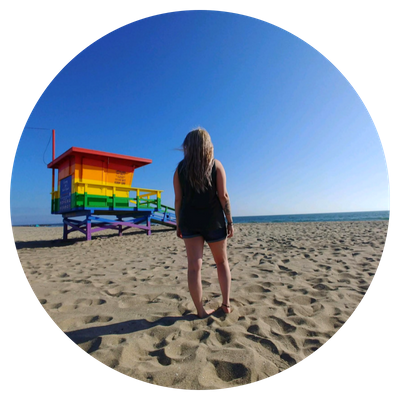 My personal favorite and go-to over and over again, Upwork is a freelancing platform with something for every skill and experience level, literally. 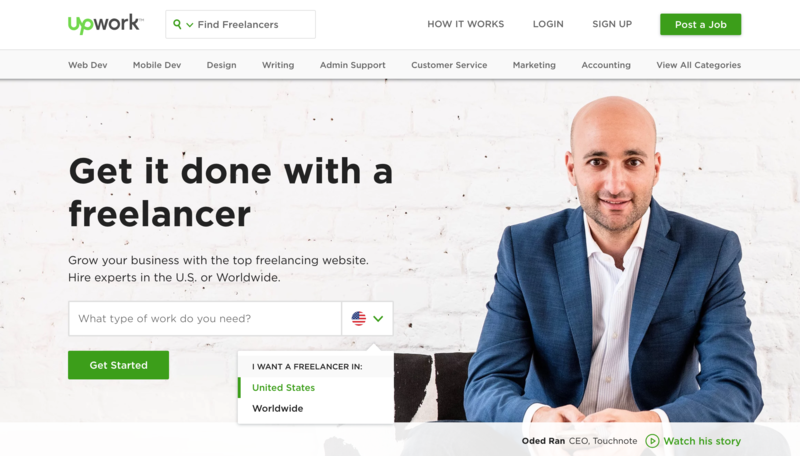 With every type of freelancing job imaginable, from short term or one-time jobs to the potential of long-term and lasting clients, anyone can find something for them on Upwork. Upwork has their own messaging and payment systems as well, allowing clients and freelancers to chat and exchange funds for work performed safely and securely. 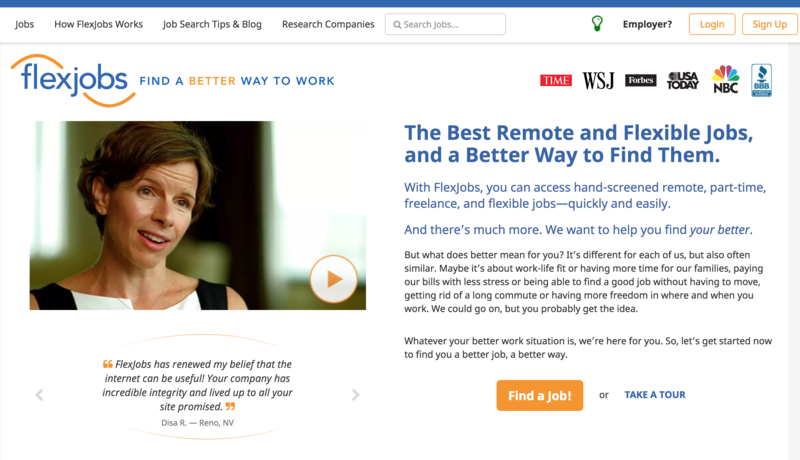 A website offering freelancing jobs and longer term telecommuting or remote-work jobs, Flexjobs is a great resource to find long lasting and short term work. Flexjobs screens all of their job posters to ensure that their platform is scam-free. Because of this, they charge a small membership fee. In my opinion, it’s totally worth it – I’ve been a FlexJobs member for over a year! 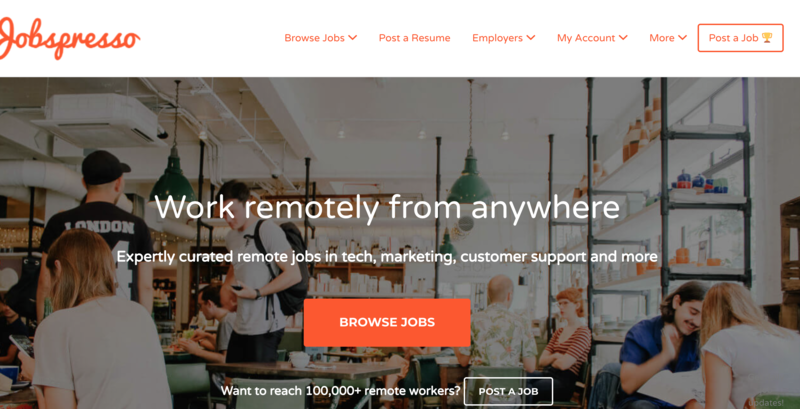 A resource and a job board for freelancers, Remote.co is an offshoot of FlexJobs. 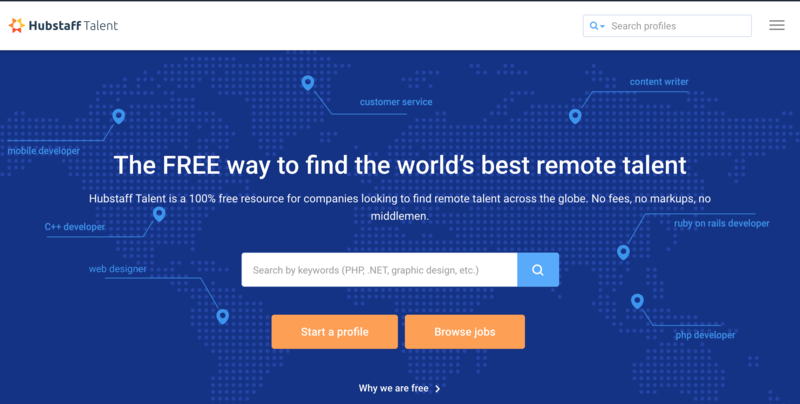 Created to help companies manage remote teams and freelancers find remote work and advice, Remote.co is a great mix of both knowledge and job listings – with over 6000 members and counting. We Work Remotely is a pretty basic job board with jobs in several different categories such as customer service, graphic design, web development, marketing, copywriting, business and more. It is free to search and apply to jobs, but employers must pay to list their openings. This ensures the quality of jobs you will find here are top notch! A Free job board for Clients and Contractors alike, Hubstaff Talent has freelance jobs in many different industries. You can make a profile or search without one, jobs are in industries such as tech, marketing, web development, administrative and more. 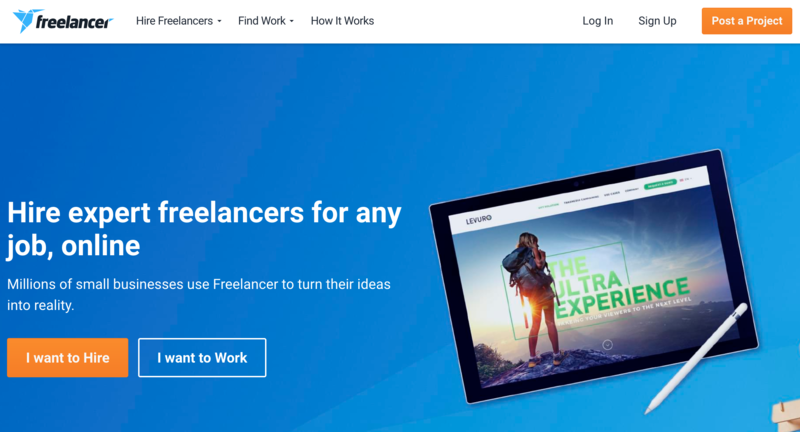 Similar to Upwork with some quirks, Freelancer makes it easy for freelancers to find jobs and have gamified the experience allowing the option to compete with other freelancers to showcase your skills. This is optional but can be used to attract new clients and get new jobs. Boasting 3 million members worldwide, Guru has anywhere from short term to long term freelancing jobs in industries like marketing, tech, admin, design, web development, blogging and more. Jobs and skills range from entry level to advanced. 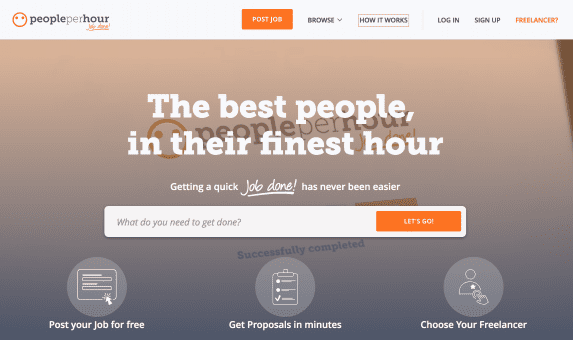 Jobspresso boasts jobs that are 100% hand-picked and expertly curated in tech, marketing, customer support and more. 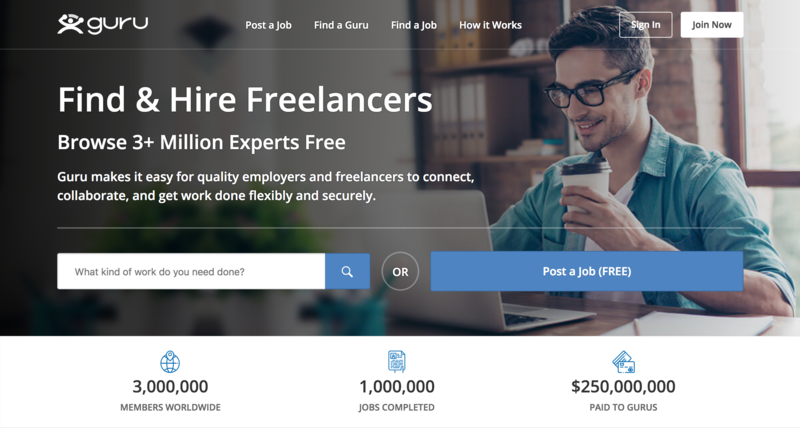 With amazing reviews and a long list of high-profile businesses as clients, Jobspresso is a very user-friendly platform to find high quality freelance jobs. As a marketplace and not a job board, Fiverr is a platform where people in any industry can go and list their services, their expertise and their portfolio while naming a price. Clients then search through Fiverr and purchase a gig from a Freelancer they feel would most suit their job. Contrary to popular belief, you can charge more than $5 for your work. Fiverr is a great way to put yourself out there as a freelancer in any industry! 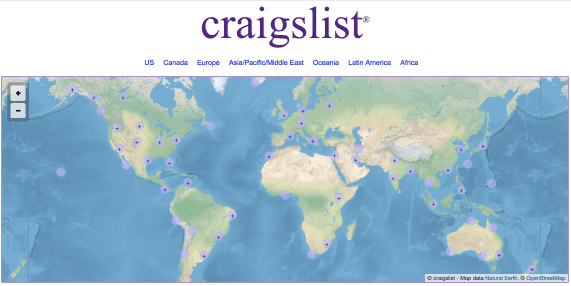 While it may not be what you first think of when you’re looking for freelancing jobs online, Craigslist has some gems every now and then! Search your local area or even nationwide for remote work, gigs and opportunities. An incredible resource for writers looking to find writing jobs online, Freelance Writing Gigs has a job board with different categories and resources for freelance writers to hone their skills and find more work. Freelance Writing Gigs is an excellent place to find writing gigs for writers, bloggers, travelers and stay at home moms. A job search engine, Simply Hired has jobs in many locations and categories with the capability of searching for remote jobs only. Simply Hired has jobs from entry to expert level in any category you can think of! With a focus on digital work for marketers, web developers, SEO specialists and designers, PeoplePerHour has high quality jobs and clients for those focused in these digital industries. 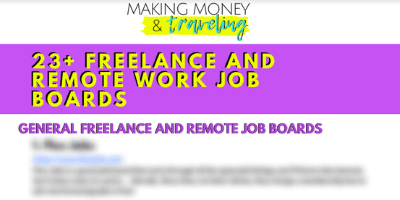 A resource for so much more than just work-from-home (or anywhere) jobs, Rat Race Rebellion stays true to their name and are constantly updated with new ways to earn money remotely as well as a job board with new listings posted all the time. A freelancing platform powered by artificial intelligence, Remote.com matches freelancers with jobs that are a best fit for their skills and expertise by analyzing both clients and freelancers for the best fit. Freelancers can create a profile and set preferences for what types of jobs they’d like to see as well as searching jobs available. Freelancers can also earn money by referring jobs to friends or others in their network. Do you have any favorite freelancing websites or resources we should know or write about? Share them in the comments below!